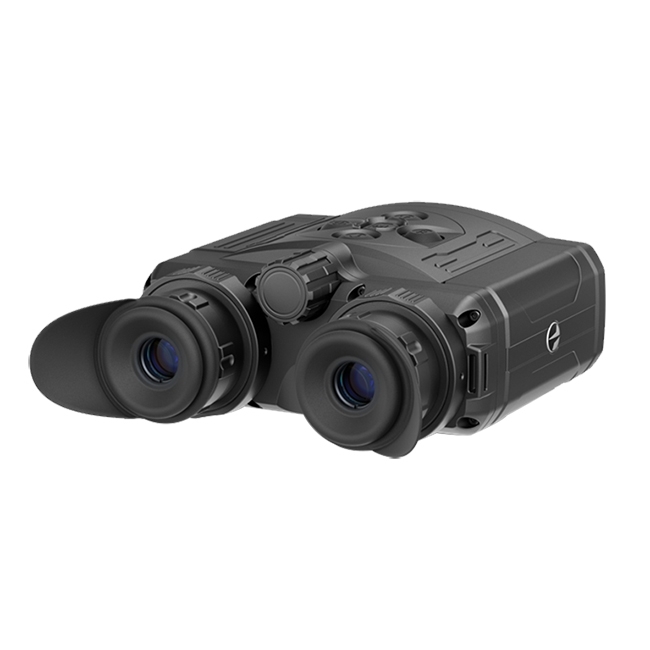 The high-tech Accolade XQ38 binoculars provide crisp and clear images with the highest level of detail in varying conditions with dual eyepieces and adjustable interpupillary distances for more comfortable viewing for longer amounts of time. The 384x288 sensor and flawless AMOLED display work to produce detailed thermal images in eight customer color modes detecting heat signatures up to 1,475 yards away. 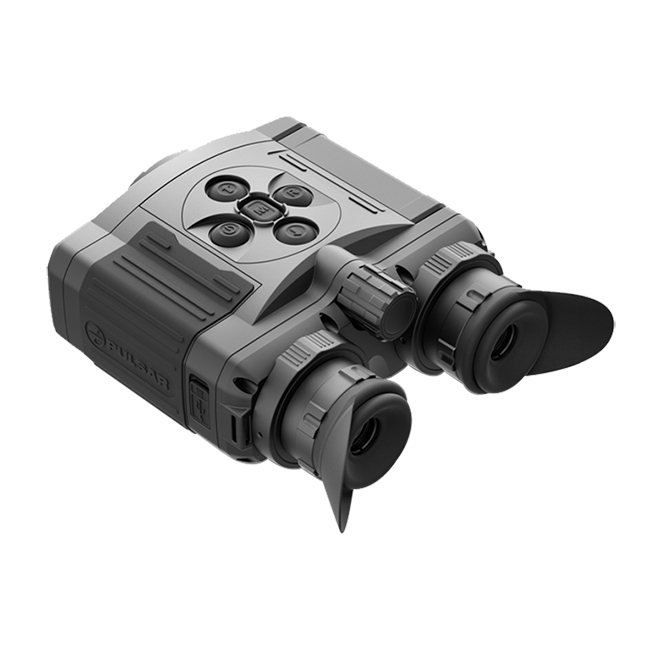 The stadiametric rangefinder and smooth digital zoom allow users to quickly identify objects of different sizes from different ranges for precise shot placement. The onboard WiFi hot spot makes live streaming and video sharing with others in real time easy with the free Stream Vision App. 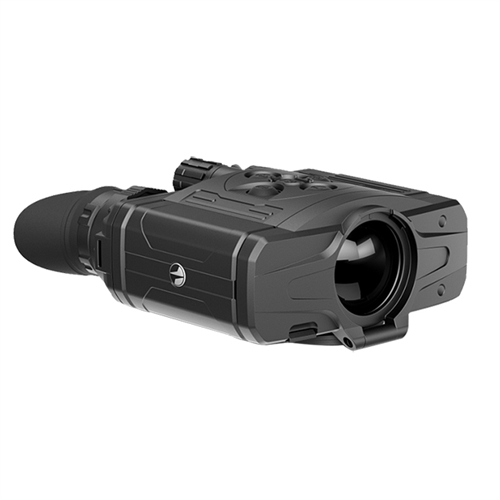 The Accolade’s impressive list of high-tech features put these binoculars at the leading edge of thermal technology. The high 384x288 pixel resolution ensures all objects within the field of view have the higher level of detail. High sensor resolution makes the smallest objects, i.e. branches, leaves, body extremities of an animal, appear exceptionally crisp and clear against the background. Detecting object at long distances are an important feature for optics users in outdoor environments. 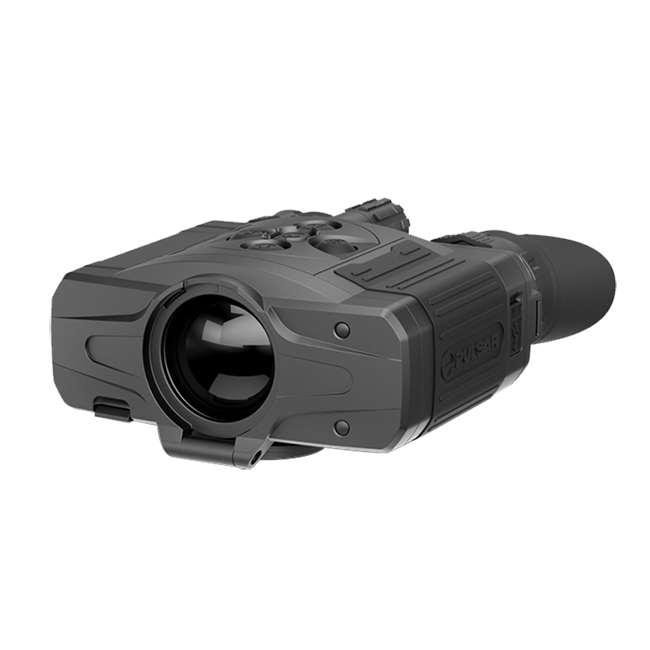 Optic quality and the best thermal imaging sensor available make a unique combination designed to deliver the longest detection range possible. Incremental zoom is a perfect solution to quick, on-the-fly zooming. When time is not a limiting factor but slight details are, the device’s smooth zoom is the better option. The dual eyepiece configuration reduces eye fatigue during longer viewing and enhances the natural look of objects. The human brain is pre-conditioned to receive visual information from two channels simultaneously. The brain then combines the information into a single image. When one eye is used to observe, the brain only receives information a single input. The increased effort from the brain to override the standard algorithm of visual perception can quickly lead to the observer feeling fatigued and uncomfortable. The ability to adjust the distance between eyepieces allows the user to best position the optic for individual needs. Interpupillary distance differs from person to person. Adjusting for individual fit dramatically improves viewing comfort and quality, and eliminates the potential for double-imaging. High Image frequency is important when shooting at moving targets. A high refresh rates ensures motion is fluid and in real-time, allowing more accurate speed assessment and shot placement. Observation devices are no longer just optics. Today’s devices are increasingly designed to meet multi-tasking requirements dictated by a wider array of scenarios. Turning the unit into a hot spot, complete with ability to connect directly to a smartphone or tablet, increases and enhances features, including the ability to control the device remotely. Broadcasting a video signal directly to a smartphone or tablet makes remote observation significantly easier. When two people are in the field, both can see the image – one on the device’s display, the other on their smartphone or tablet screen. When a situation requires covert operation, the observer does not have to hold the unit by hand. Depending on the situation, viewing from a tablet or smartphone may be safer or more convenient. Connecting the device with a smartphone or tablet allows a user to access the internet and live-stream video directly to YouTube. The device is designed for flawless operation in extreme weather and temperature conditions. Whether the environment is freezing cold or blistering hot, the image retains its contrast and vivid colors without loss of frame rate. The high-contrast, color AMOLED display uses top technology to ensure stable, high-quality imaging in virtually any weather conditions. The stadiametric rangefinder helps to estimate range to an object based on its size. The device’s advanced, proprietary, rangefinding interface provides important ranging information within seconds. The device’s innovative battery-release mechanism ensures fast, flawless battery changes. Rechargeable IPS5 battery packs provide up to 8 hours of continuous operation in Wi-Fi mode. Rain, snow, fog, high waves or waterways, the IPX7 waterproof rating ensures the device won’t fail in even the toughest wet weather conditions. The IPX7 rating means the device has been manufactured and rigorously tested to withstand extreme natural weather conditions, even submersion to a depth of 1 meter for up to 30 minutes. Picture-in-Picture provides a second, magnified reticle-area image to help the observer see magnified target details without loss of the field of view. The 8-color palette enhances viewing in varying conditions. While the classic “White Hot” mode is exceptionally versatile, “Hot Black” is often favored for detecting wildlife at night. Red monochrome helps to reduce or prevent bright backlight from exiting the eyepiece. Sepia often improves long-range observation while “Red Hot”, “Rainbow” and “Ultramarine” enhance temperature differences of various object attributes. Violet helps to identify objects faster. Image optimization should be performed depending on the environmental location and conditions. Mountains, cities and forests have different ambient temperatures. In order to achieve the highest possible image quality, certain settings have been optimized and gathered into profiles. As a result, optimized imaging in various conditions is easier. Identification preset is another optimal-imaging option that makes identifying easier, even at longer distances. A thermal imaging sensor requires calibration or non-uniformity correction (NUC) from time to time. Calibrating reduces or eliminates remaining redundant signals and improves overall image quality. Accolade offers 3 modes of calibration: AUTOMATIC, SEMI-AUTOMATIC and MANUAL. In AUTOMATIC mode, the shutter closes and calibration is performed automatically within defined time intervals and without user participation. In SEMI_AUTOMATIC mode the shutter closes and calibration is done only when the user presses the calibration button. In MANUAL mode, also called “SILENT”, the shutter remains open but the user has to close the objective cap and press the calibration button. Contrast and brightness can be adjusted manually to fit individual preferences. The settings are stored in the memory of the unit and can be easily changed when required.